The traditional Kerala sari or mundum neryathum is worn as everyday costume and also as distinct costume on festive occasions, in which case the border is ornamental in couture. 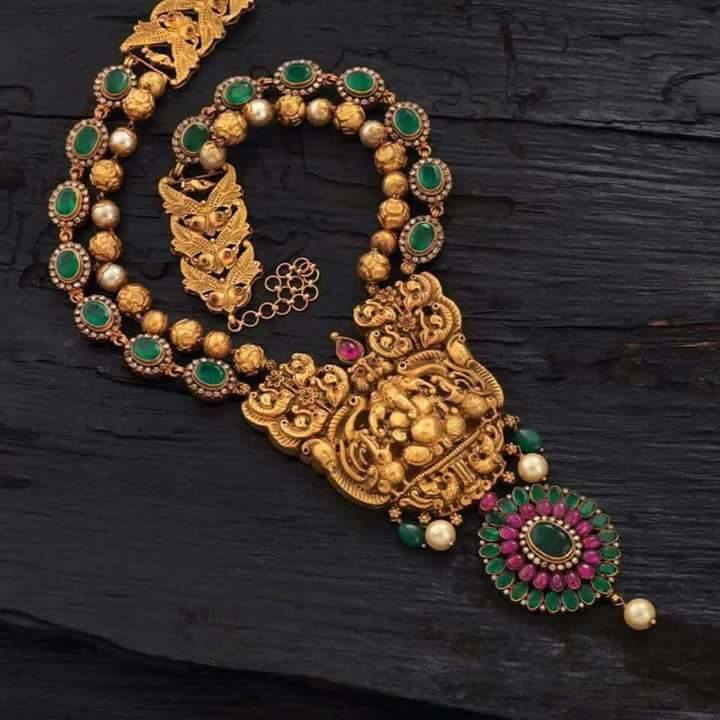 The sari for festive occasion has golden colored borders or a broad zari border known as Kasavu, The kasavu or the golden border is either pure golden layer, copper coated or artificial. The fabric of mundu-sari is cotton and is always woven by hand. These sarees have become quite popular and look very graceful. A lot of Bollywood celebrities have donned Kasavu sarees at various occasions and these sarees have also made their way to the runway! Recently Bollywood actress Sonam Kapoor, wore a Kasavu saree in the Bollywood chick flick Aisha. You must surely pick one of these while in Kerala. You can wear it with the regular kasavu woven blouse or any contrast designer blouse of your choice. Please have a look at indian celebrities wearing kasavu sarees with different blouses. I personally love the kasavu sarees. What about you? Malayalam Actress Kavya Madhavan wearing Kasavu saree with multi colour banaras blouse. South Indian Actress Amala Pal wearing Kasavu Saree with white colour frill blouse. Bollywood Actress Asin wearing Kasavu saree with gold tissue blouse in Genelia wedding. She is looking truly traditional and south indian in kasavu saree and jasmine flowers. Bollywood Actress Rani Mukherjee wearing Kasavu Saree with long sleeves matching blouse. Beaded Necklace and gold bangles added more look to her attire. Bollywood Actress Sonam Kapoor wearing Kasavu Saree with white embroidered blouse in her recent movie Aisha.Though the movie was not that good, her costumes in the movie were gorgeous. She is a true fashionista.Love her sarees, especially love her in masaba (daughter of nina gupta) collection. Bollywood Singer Shreya Goshal in Kasavu Saree with magenta blouse. Malayalam Actress wearing Kasavu Saree with black border and a designer blouse. Malayalam Actress wearing Kasavu Saree with black border with green banarasi blouse. South Indian Actress Nayanatara wearing Kasavu set saree with green silk blouse. 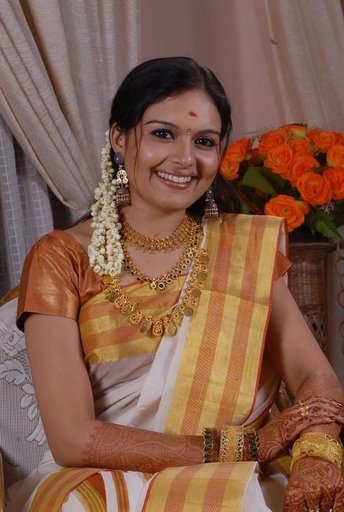 Malayalam Actress wearing Kasavu Saree with heavy jewellery. Bollywood Actress Genelia and Vidya Balan wearing Kasavu Sarees in ancient kerala style in the movie Urumi.